Do you know any hidden or little-known nice feature of macOS (née Mac OS X)? It doesn't matter what it is—maybe just a short terminal command or a keyboard shortcut. Share your experiences on hidden Mac OS X features with us.. Please post one tip per answer. Please also check to see if your answer has already been posted - duplicate answers will be deleted. To search answers for this question use inquestion:400 (or inquestion:this, directly from the question page) in addition to your search terms in the search box in the upper right hand corner of this page. Also provide details on how to achieve that feature, and if possible, include a relevant image too! In any Finder window or Open/Save dialog, you can hit ⌘⇧G (just '/' also works in Open/Save) to get a location bar from which you can directly type in the directory to go to. It even supports ~ for home and tab completion. 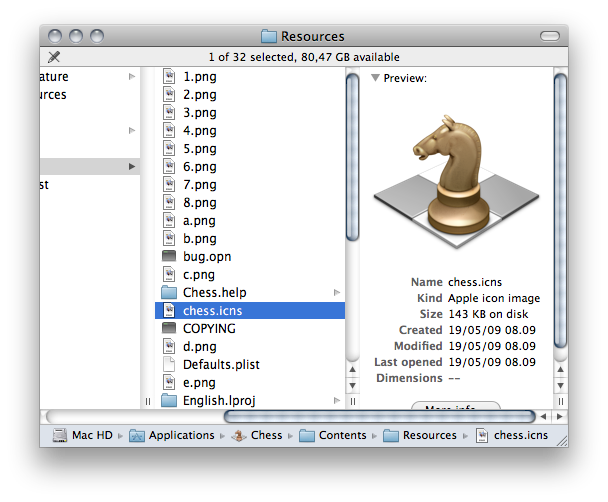 ⌘ R - Reveals the selected item in a new Finder window. ⌘ I - Info window shows for the selected item. / or ~ - Opens a Go To Folder dialogue. I always find the ⌘+⇧+4, space (you must press space at the end otherwise it doesn't work) command is really useful, and one that a lot of people don't know you can do. Upon pressing space, you get a large camera icon for your cursor, and it allows you to take a screenshot just of the highlighted window. The nice thing is that OS X preserves the window drop shadow, with full alpha transparency. So when you paste the images into other documents, they look fab. More screenshot magic from 3rdparty. Another useful trick is to hold space while drawing a capture area to reposition it. Another trick is to hold option while drawing a capture area, to resize the area in all directions, instead of just the one corner you're dragging. For fine-tuning on a certain axis, you can hold shift and the axis you next move in is the one you'll control. Hit esc while capturing an area or window to exit capture mode. Note: I added this because I find it to be useful. I don't mean any offense to anyone's answer in doing so. Note that this feature was disabled in Mac OS X Lion from 10.7 through 10.7.3. 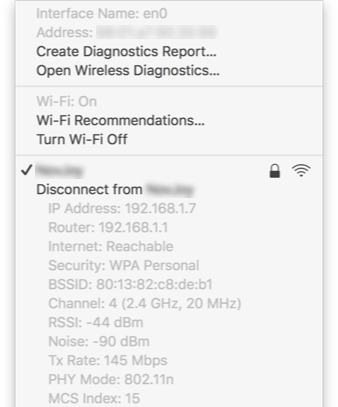 This feature was restored in 10.7.4. For workarounds on how to accomplish this on earlier Lion versions, see this question. Holding ⌥ (Option)while clicking menu bar icons will give you additional menu items or alternate menus. The alternate volume control menu will let you choose input and output audio devices. Bonus: On older versions of OS X, this gave you the alert volume instead of devices. You can still get the alert volume using ⇧ clicking. For the airport menu, you'll get WiFi connection information. 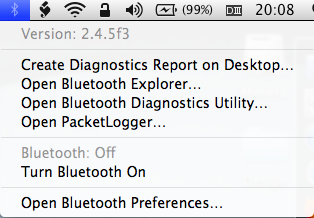 The Bluetooth menu will include debugging information and tools. Time Machine will show "Verify Backups" and "Browse Other Time Machine Disks". Unlike the other menus, the Time Machine menu will show the alternates if you hold Option after opening the menu, and will hide them if you release it. While Cmd tabbing between applications, without releasing Cmd, you can hit Q to quit or H to hide the selected application. Works great with the mouse to get rid of a whole bunch of applications quickly. The bevel won't go away and you can repeat this for as many applications as you like as long as you're holding Cmd. ⌘-click (or control-click, or right-click) it to view the path menu, useful to open the folder or any subfolders of the file in the Finder. 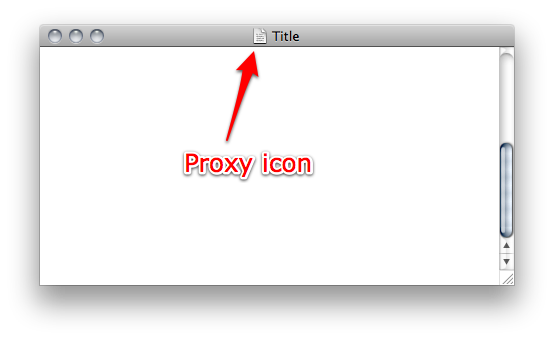 ⌘-click on the titlebar in Safari can help you easily move up the directory structure of a web site, too! Most applications on OS X respect emacs' style shortcuts for maneuvering about in text fields. ctrl+U: delete from cursor to beginning of line. ctrl+K: delete from cursor to end of line. ctrl+W: erase word to the left. ctrl+T: transpose characters around cursor. There are others that are slipping my mind currently I'm sure. I miss this so much on Linux. When I first switched to Mac a couple of years back, I was using it full time for nearly six months before someone showed me ⌘+space to bring up the Spotlight Search. Single best shortcut I've learned. The Spotlight search field and Siri (especially with text input) can also handle simple mathematical expressions. No need for Calculator.app for a quick bit of division! Want tab to go to every field on a form not just input fields? I got sick of the state/country drop down fields of web forms being skipped when tabbing. 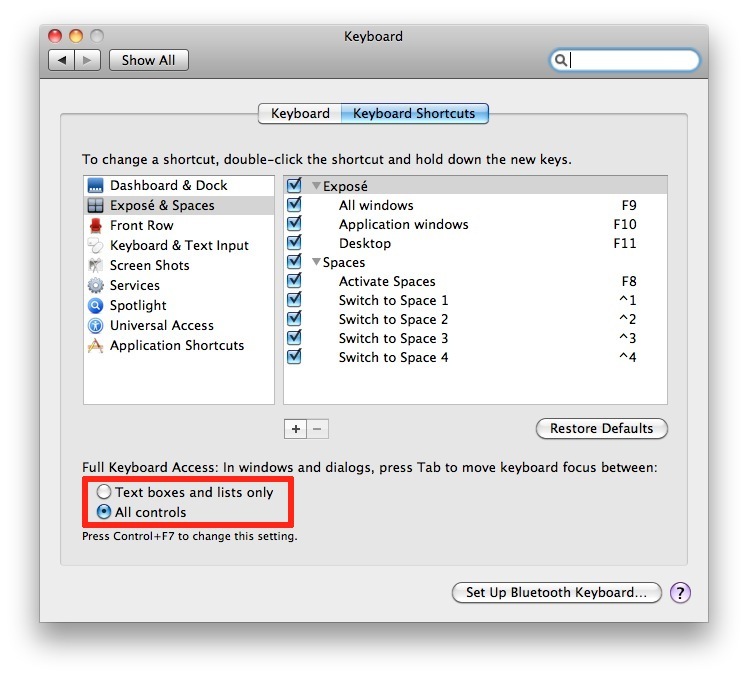 Go to System Preferences → Keyboard and set Full Keyboard Access to All Controls. In system dialogs, if you tab-highlight a button, hit space to "click" it (hitting enter will still choose whatever the default action is, regardless of what button your tab has focused on). I needed this today, when I had to shut down several Macs. ⌘ + click on a Dock icon shows the respective application in a Finder window. It won't say "MacOSex", but "Mac OhEs Ten". That's attention to detail. It works even if you specify macosx as the argument. In Terminal, type open -a Application to launch an application that lives in the /Applications folder, or open <exact path to applcation> to launch an application that is anywhere on your computer. 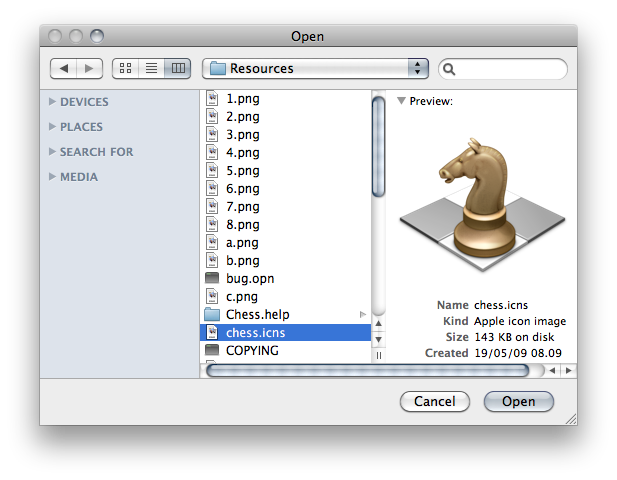 open /Path/to/dir/ will launch the folder in Finder, whereas open . will open the current folder in Finder. For more, just run man open in Terminal or see this page. It took me a while before I figured out that hitting the space bar while in Finder launches Quick Look on whatever is selected. VERY handy. Also note that holding ⌥ while doing this throws you straight into the full-screen view. in Terminal will prevent your Mac from sleeping. Press Ctrl+C to stop. 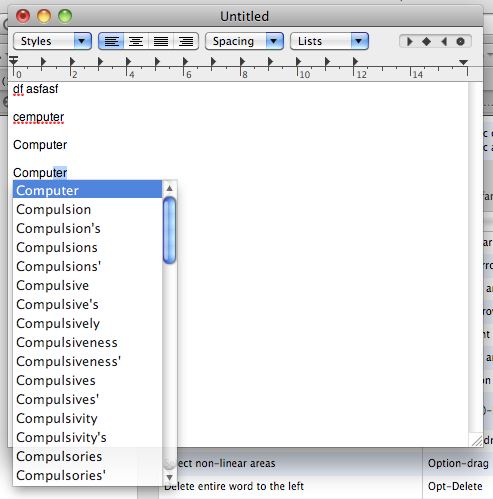 In most Mac apps (TextEdit, for example), you can ⌥-drag* to select a rectangular area of non-contiguous text. You can also hold ⌘ while dragging to select multiple disjoint areas in a single selection. In any Open/Save dialog window, hitting ⌘+D opens the desktop folder. When you drag and drop any file (or folder) from Finder onto a Terminal window, it gets converted into the full (absolute) path to that file. I find this a small but occasionally useful trick when dealing with files in both Finder and Terminal. Hold ctrl and move the scroll wheel (or use two fingers on trackpad). It will zoom in the entire screen. This setting can be enabled or changed in the System Preferences, under Acessibility, Zoom. Drag and drop files and folders to "Open" dialogs/sheets: very useful to open package contents with other software. Show the full directory path in the Finder window. There are all sorts of hidden defaults that can be mucked around with but this is my absolute favorite because now no matter which window I am looking at, I know exactly where I am. You should also check out TinkerTool for other hidden settings. *If you have checked the option to use F1, F2, etc. keys as standard function keys, done in System Preferences>Keyboard, then you will need to add the fn to the afore mentioned sequences. Secrets is a database with a huge amount of hidden settings for both the system and some common applications. On i.a. en-US keyboards ⌘+` will cycle through multiple open windows in your current application. On some other keyboard layouts the hot key may be e.g. ⌘+<. You can verify—and modify—your "Move focus to next window in application" shortcut under System Preferences → Keyboard → Keyboard Shortcuts → Keyboard & Text Input. I really find the inbuilt dictionary useful on Cocoa apps like Safari and Mail etc. With your cursor over a word, press ctrl+⌘+D to get a definition. You can also drag a word straight onto the Safari icon in the Dock to perform a Google search for the word. Holding down ⇧ while using the mouse scroll wheel will scroll the window horizontally. Most animations in macOS can be played in slow motion, when you hold ⇧(Shift). Works for example to slowly minimize windows if you click the minimize button while holding the ⇧(Shift) key. In macOS, while in the finder, open any window & click the minimizie button (yellow) at the top of the window while holding shift. This will minimize the window in slow motion using the new "genie effect" minimize function of macOS. The CEO of Apple has shown this egg publicly several times. However, this egg is undocumented & has no system menu equivalent to use this feature. Anyone who has NOT followed the development of macOS & watched the demos at the MacWorld trade shows would not realize this somewhat useless feature exists in macOS. Not the answer you're looking for? 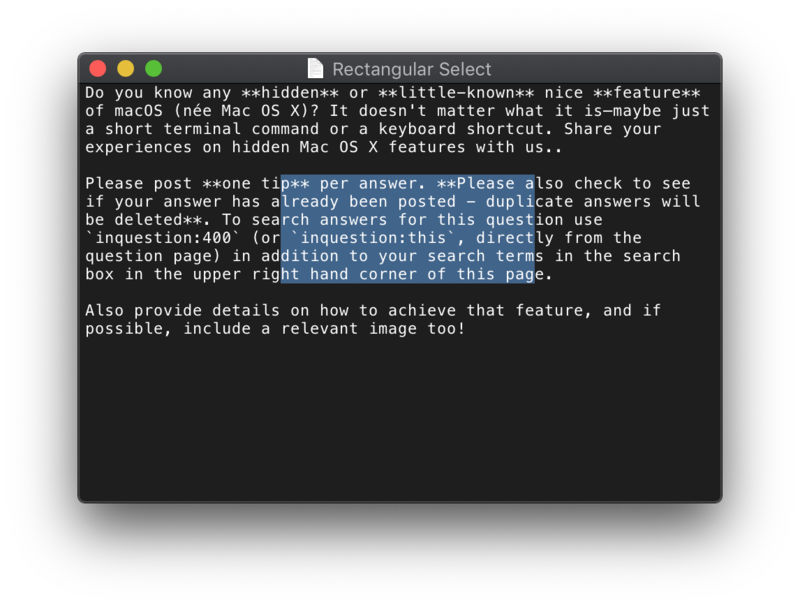 Browse other questions tagged macos hidden-features . 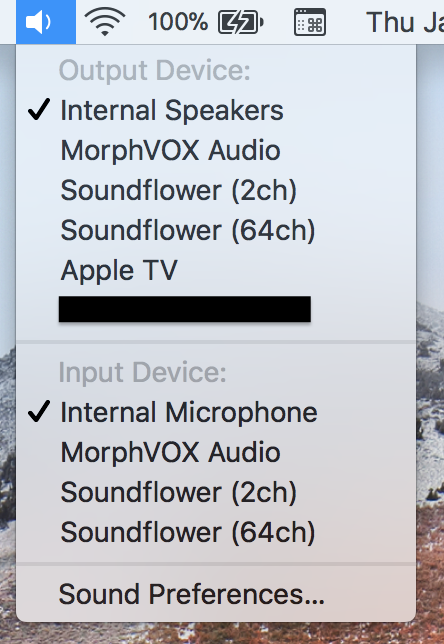 Is fine volume adjustment possible in OS X Lion? Can Macs be put in hibernation voluntarily? How can I replicate Windows End/Home key? Is there any way to get rid of the sound made when a screenshot is created?